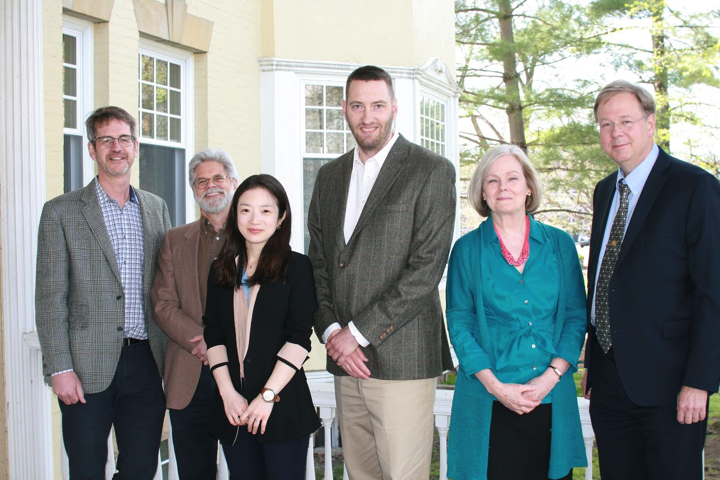 From left to right: Peter Whiting, director of SAGES; Christopher Flint, chair of the English department; Hee-Seung Kang, director of SAGES ESL Program; Eric Chilton, lecturer of English; Georgia Cowart, professor of music; Dean Cyrus Taylor. At the end of each academic year, members of the Case Western Reserve University community are recognized with Writing Program Awards. 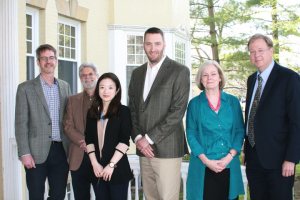 The Department of English, SAGES and the Writing Program recently recognized this year’s winners of teaching awards and student writing prizes. Georgia Cowart, professor of music, was selected for this year’s award, which recognizes outstanding instruction in writing in professional fields and/or disciplines other than English. Cowart has received numerous teaching and research awards, as well as fellowship support from the National Endowment for the Humanities and the American Council of Learned Societies. She also has the unique distinction of being the first two-time honoree for the Writing Program: In 2014, she received the SAGES Excellence in Writing Instruction Award. Hee-Seung Kang, instructor in the Department of English and director of the SAGES English as a Second Language (ESL) Program, was honored for the award, which recognizes outstanding commitment to and success in teaching academic writing to Case Western Reserve University undergraduates in SAGES. The number of matriculating students enrolled in the ESL writing courses this fall was 200 percent higher than it was just five years ago. 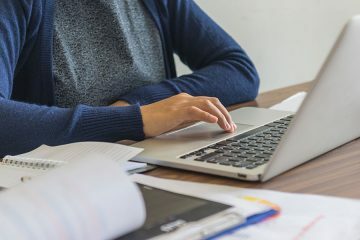 Kang has been tireless in her curriculum development efforts to support multilingual writers, and she has recruited a dedicated and expert team of faculty to lead the ESL First Seminars. 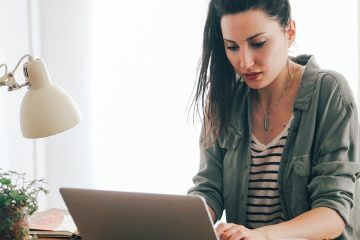 In addition, she has served as a mentor to faculty at all ranks, who have approached her for advice on how to support multilingual students in their classrooms. 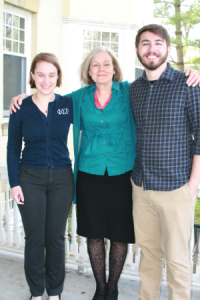 English lecturers Jessica Birch and Eric Chilton were selected for the award, which recognizes outstanding writing instruction for students of the university and exemplary service to the Writing Resource Center during the academic year. Professor Cowart with her award-winning students, Lauren Whitehouse and Adam Gleichsner. The SAGES First and University Seminar Essay Prizes recognize the best writing that students produce in their first and university seminars. These essays are chosen from those nominated by SAGES seminar leaders each semester. Adam Gleichsner for his essay “Setting the Internet on Fire: #GamerGate, New Games Journalism, and the Discourse Surrounding Sexism in the Gaming Industry,” which was written for USSO 290H (“The Social World of YouTube”) led by Cowart. Rana Ulhman for her essay “America Against the Islamic World: Creating a Radicalized Other in the Minds of U.S. Citizens” written for USSY 290Z (“Secularization and the Culture of Belief”) led by Scott Dill. Lauren Whitehouse for her essay “Fair Use in a New Cultural Paradigm: Amateur-Produced Appropriative Works on YouTube” written for USSO 290H. 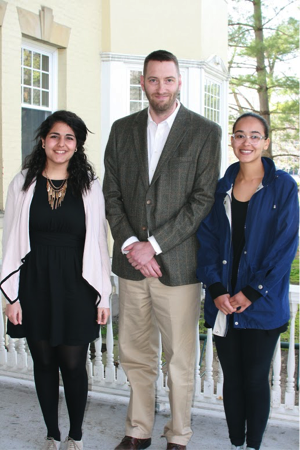 Eric Chilton with his award-winning students, Aya Bahij and Amalia Donastorg. Aya Bahij for her essay “My Life as a Palestinian Refugee from Lebanon” written for FSNA 161 (“Making Sense of Place”) led by Chilton. Amalia Donastorg for her essay “Simulation and Place” written for FSNA 161. Booklets including of the essays are available at case.edu/writing/keydocs.html.